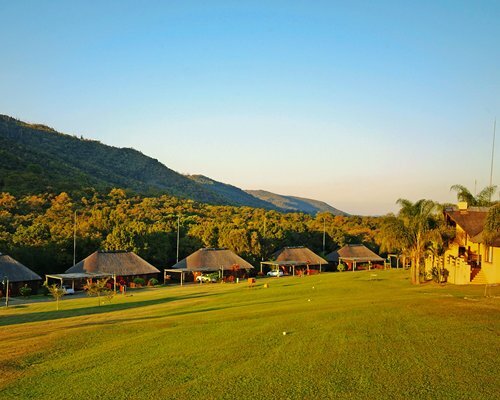 Hazyview Cabanas are located in the lush Sabie Valley in Mpumalanga. 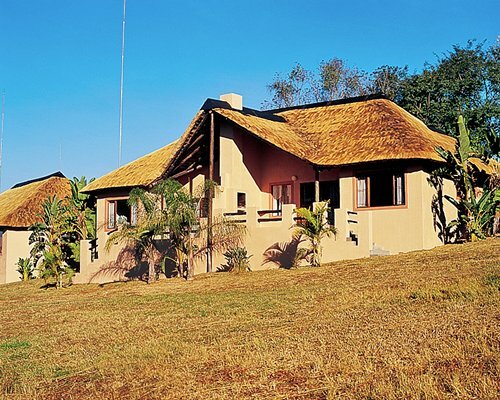 Thatched cabanas with beautiful views line the Sabie River and the rest of the charming units are tucked among the trees. Guests can enjoy many amenities including swimming pools, minigolf, tennis, and a game room. 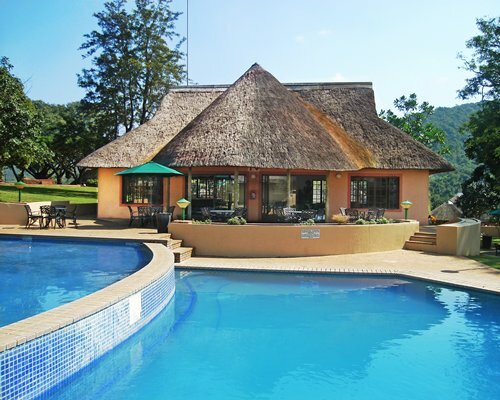 Hazyview Cabanas also features Body Bliss Day Spa, which provides a full array of spa services from a basic facial to luxury treatment packages. Studio, one-, two-, and three-bedroom cabanas are perfect for vacationing families or couples enjoying a getaway. Studio and one-bedroom units sleep up to four, two-bedroom units sleep up to six and three-bedroom units sleep up to eight. 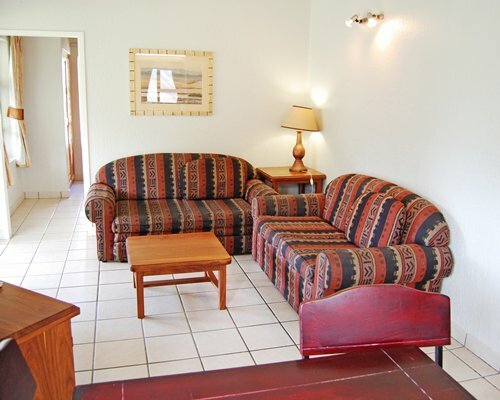 There is a carport at each unit and all units have an overhead fan in the lounge and bedrooms. 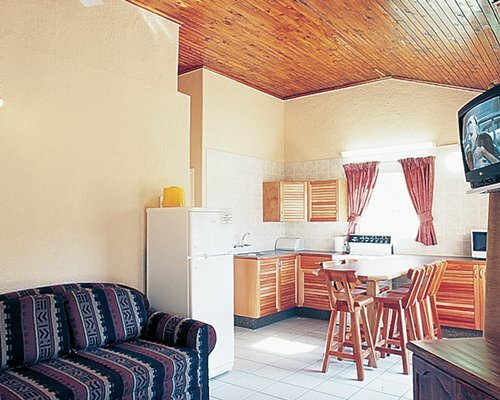 All accommodations come with some kitchen facilities that include a microwave. 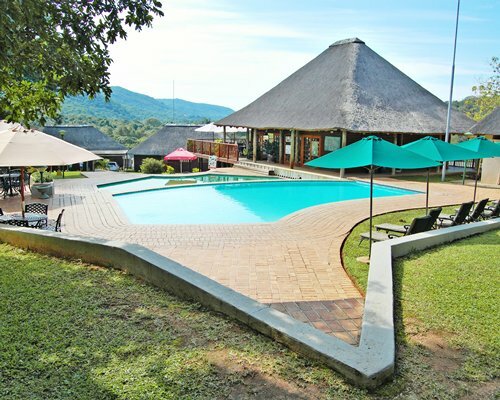 In the heart of the scenic-rich Eastern Transvaal, Hazyview Cabanas is in the lush Sabie River valley, and only 11 miles from Kruger National Park. It is one of the largest game reserves in Africa, with 147 species of mammals. Whether it is driving, biking, hiking or walking that you want to do, this magnificent wildlife park has something for you. Other attractions include the Blyde River Canyon, Pilgrim's Rest, God's Window and the Mac-Mac Falls. In addition, fishing, horseback riding, hot air ballooning and river rafting are close by as well.